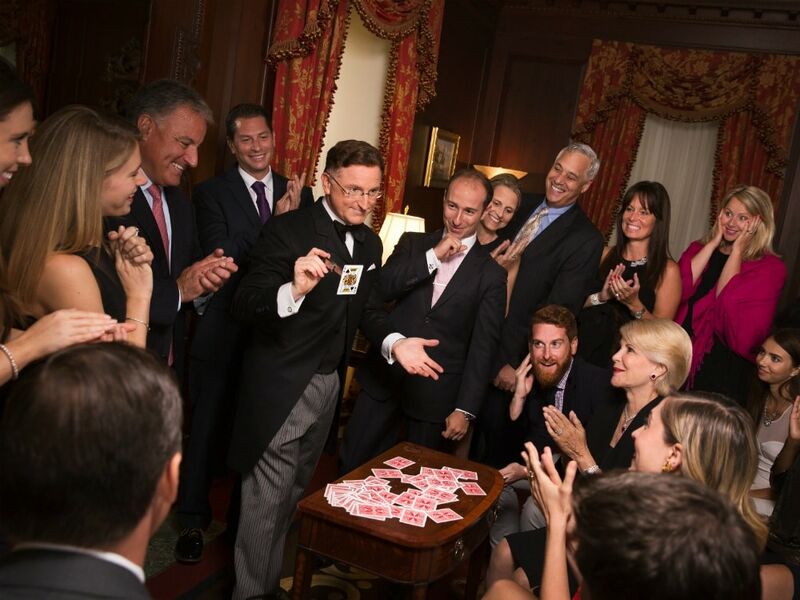 After 17 years at the Waldorf Astoria, magician Steve Cohen took his "Chamber Magic" show to the Lotte New York Palace, where he performs five times a week. 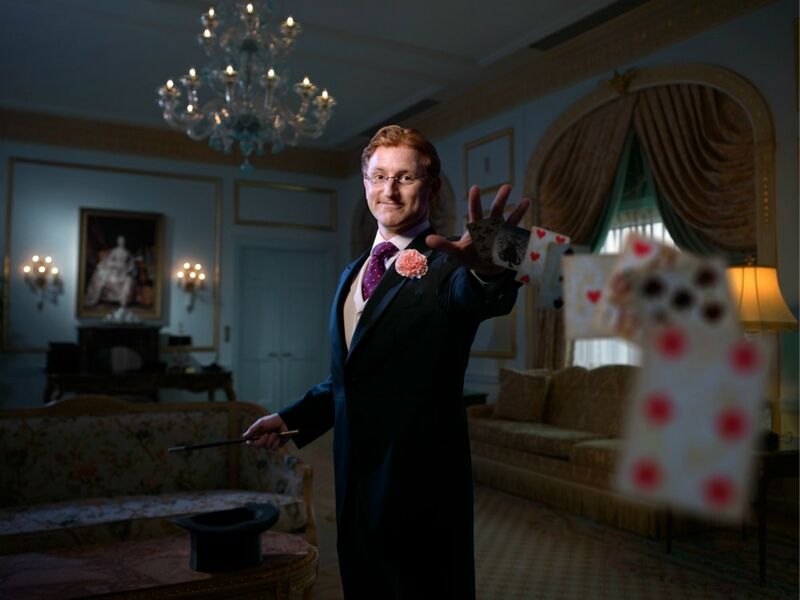 He chatted with us about his move, his most famous magic trick, and what he has up his sleeve next. First, congratulations on breaking a grand total of 5,000 shows. Where do you find the stamina to perform so many shows? STEVE COHEN: Well, I’ll tell you the real secret is that, number one, I love what I do, and number two is I get immediate feedback because I see the mystery in peoples’ eyes. And if you ever watch a child when they’re seeing something for the first time that they’ve never experienced before, I see that same light in the adults’ eyes who come to see me at the show. And that’s really invigorating because I know that I have something that I can share with them and it’s all about giving that gift to people. So I feel like, in the beginning when I started being a magician, it was all about me like, “How can I make my career better? How can I make my magic better?” but now I’ve gotten it to such a level that I feel like I’ve twisted around and I’m giving it back to the audience now because I’ve already validated it to myself. After 17 years at the Waldorf Astoria, you moved to the Lotte New York Palace at the end of last year. Does the space change the show? SC: Yeah, actually, it’s a good question because, when I was at the Waldorf, I did the show in my own private suite in the Waldorf Towers. I had a 4,000-square-foot private suite that I stayed in with my family every week for 16 years. We’d stay there from Thursday through Sunday and it had a giant living room that could fit 65 people in it as well as a bathroom, bedrooms, and kitchen. And so, when people were coming to my show at the Waldorf, they were coming into a private residence and it felt like it. You felt like you were going into a private home and that was part of the beauty of it. It felt like the salon performances of the nineteenth century when someone like Mark Twain would come and give an after-dinner speech in front of the fireplace. You know what I mean? So that was the original plan when I did the show at the Waldorf. Not many hotels have these big battleship-sized rooms, so when I realized I had to move the show, I was looking for a new space and I had offers from seven of the top hotels in New York. I didn’t have to go pitching myself to them; they all came to me which is really flattering. And then one of the hotels that came to me was the Lotte New York Palace, and to be honest, it couldn’t have been a better match because the room is like going to Versailles. It’s not like a living room setting anymore. Now it’s like literally walking into a palatial residence, and it’s got these gold hand-carved gilded ceilings, and Italian marble columns, and 19th-century paintings on the wall that are all original. I mean, it’s really stunning and so the other thing that’s nice about it is that it’s on the ground-level. When people came to me at the Waldorf, they’d have to go up 35 flights in an elevator, and to get sixty people up and down in an old elevator building, sometimes too many people jammed inside the elevator, and it would get stuck, and we’d have to call the fire department. So the logistics of the Waldorf show were pretty tricky. At the Palace, though, it’s wonderful because it’s right on ground-level. SC: My most famous trick is called "Think a Drink" and I’ll tell you about that drink in a second but the cocktail that is named after that trick is called the Think a Drink Cocktail. It’s served at the Lotte New York Palace Hotel in a little teapot because my trick, as I’ll tell you in a second, has a teapot prominently displayed as part of the trick. And so you get this drink poured into your glass from a little teapot, and in the drink, there’s some bourbon, there’s some Hendrick’s Gin, there’s some Earl Grey syrup to bring in the tea concept, there’s a violet liqueur, and a fresh sprig of rosemary, and a fresh blueberry muddled, and the last ingredient is a little bit of hocus pocus. It’s really good. I mean, I have to tell you, I’m not a big cocktail drinker but it’s a surprisingly delicious cocktail, and also, it packs a surprising punch because it has both the gin and the bourbon. I don’t know if you've seen it but I have this silver teapot that can pour any drink you name. I have people around the room call out their favorite beverage—it could be soft drinks, liquor, wine, cocktails, beer, anything at all, hot, cold, sparkling, flat—and I can pour it on the spot, on demand, from the same silver teapot spout. Any drink? So, if I said Negroni, you’ve got it? SC: Oh, that’s easy. I’ll pour you a Negroni. It’ll have Campari, it’ll have gin, and it’ll have sweet vermouth, instantly. Not only that, but then the person who calls out another drink after you, let’s say they call out an Arnold Palmer, then I pour out instantly an Arnold Palmer from the same spout, and let them taste it, and it’s really lemonade and iced tea. Then the next person after that might call out Ovaltine and I’ll pour them a chocolate Ovaltine from the 1940s or whatever, and then the next guy will ask for a frozen margarita and I pour out a slushy, ice-cold frozen margarita with real tequila. And I also ask them, “What brand of tequila do you want?” or, “What brand of gin do you want?” and, “What brand of bourbon do you want?” I ask for specifics and I’ve had people who are connoisseurs or people who are familiar with the spirit come in and they’ll say, for example, “I’d like to have a Brunello.” I go, “Okay, great. What year?” and they’ll say, “I’d like a 2003 and I know the difference.” Then I’ll pour them a 2003 Brunello. It’s funny, I like to think of myself as the highest paid bartender in New York City. I imagine, in your line of work, that you meet quite a few interesting people, no? SC: I’ve got a funny story about when I did a show for Warren Buffett in Omaha. So he flew me out to Omaha to do a performance, a private show for his best friend, this guy named Walter Scott—he is another billionaire who lives in Omaha—and so I’m standing in front of a room of about forty or fifty people, all very smart, very genteel, upper-crust type of crowd. And Warren Buffet is in the front row and I start making jokes, and before I could say the punchline, he’s cracking the punchline of my joke, but he’s never heard any of these jokes before because I wrote these jokes myself. So he, of course, is an expert forecaster so he was able to forecast the punchline and he would shout out the line at the very inopportune time for me but it would get a big laugh and I would just say, “You know something? That was better than what I was going to say,” and in fact, it was exactly what I was going to say but I let him take the spotlight. What do you have your eyes set on next? SC: Well, my shows are sold out for usually two to three weeks, sometimes two or three months ahead of time, so the show is always next. That’s always happening. My goal is to continue this show for at least—originally, the plan was to make it a twenty-year run; now it’s already eighteen years into so I’m aiming for 25, maybe 30. I love doing the show and keep on adding new material to the show so, for me, I’m constantly working on new tricks to add. But in addition to that, I’ve also created a graphic novel, which is called The Millionaire’s Magician, which is my character, and it’s a 120-page long comic book that tells the backstory or the origin story of who the millionaire’s magician is. And it’s all complete, I’m just waiting to make a publishing deal right now, but the next big project is this graphic novel and the foreword was written by David Copperfield.